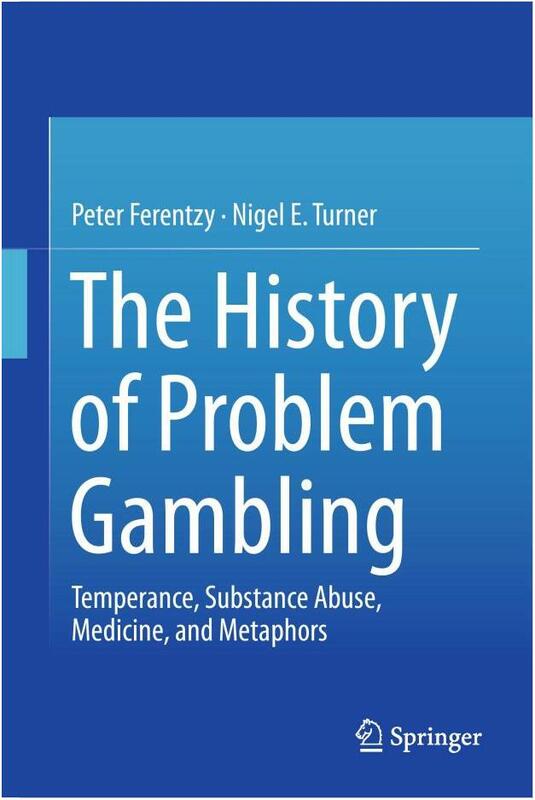 Editor’s Note: Authors Peter Ferentzy and Nigel E. Turner describe their new book, The History of Problem Gambling: Temperance, Substance Abuse, Medicine, and Metaphors (Springer, 2012) in today’s Points interview. NT & PF: Our book examines how the idea of gambling as a disease came into existence and how that concept changed over time. We point out two current disease models – the public health and the chronic disease model – and explore their roots. We also explore the metaphoric utilities of these models, examining what these metaphors both can reveal and can hide about the concept. The idea that metaphors reveal and hide information is important. It is not always recognized that how one categorizes a phenomenon affects how it is understood. This is true for all categorization but perhaps more so for mental health phenomena. Viewing gambling problems as a chronic disease harbors the implication that the disorder is difficult to overcome, that it is not the person’s fault, and that it obligates lifelong abstinence for those who are vulnerable as the only viable approach to the disorder. If on the other hand we view gambling as a public health problem the focus shifts to the game and the administration of gambling, rather than the gambler. Now, issues relating to the game’s availability, its design, and the role of public health policy in addressing the problem rise in salience. The public health perspective shifts attention to prevention and self-control, rather than abstinence per se. Our book discusses how both models also hide facts about the disorder. It’s important to be aware of the metaphors one is using and not mistake metaphors for literal truths. Otherwise they can become a mental trap preventing one from understanding the reality of the phenomenon. We examine how metaphors associated with problem gambling have changed over time.